The Hillsalive tailored luggage set for the TR4 and TR4A consists of a pair of fully stiffened bags shaped to fit the contours of the boot. 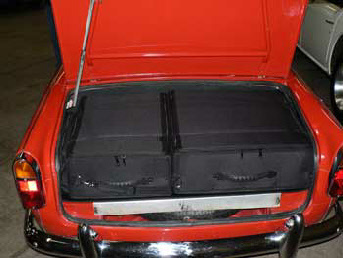 The left hand bag has an end pocket which fits into the rear wing area. The right hand bag has no pocket which leaves space in the wing for “essentials”.